If crabbing from a public pier, you don’t need a sport fishing license to set a trap or net (read all about it in the state’s Ocean Sport Fishing Regulations).You can keep up to 10 Dungeness crabs per day during the season, but they must measure a minimum of 5-3/4 inches across the shell.The best time to catch is early in the morning or an hour or so before sunset. A popular on-shore crabbing spot: the breakwater jetty off Doran Beach Regional Park. Another good place to try: the Marina Jetty at Bodega Bay’s Spud Point Marina (on the marina’s south end). Learn about advising the public on how to safely navigate the intertidal zone and model respect for fragile intertidal resources. Aspiring docents will also learn about introducing school children, adult and beachgoers to the amazing life found in the intertidal zone. Peak low-tide months are April-June. Meets: Jenner Community Center (10 am to 1:00 pm), field component meets at 1:45 pm at the North Salmon Creek Beach Parking Lot. During Chowder Day the Artisans’ Co-op is hosting a special celebration of the sea. There will be demonstrations, a gallery wide sale. Chowder Day ticket holders will receive a free raffle ticket for the grand prize. Located in the quaint town of Bodega in Sonoma County. From Bodega Bay go south on Highway 1. Turn left on Bodega Highway. A short distance on Bodega Highway you will see the town of Bodega. 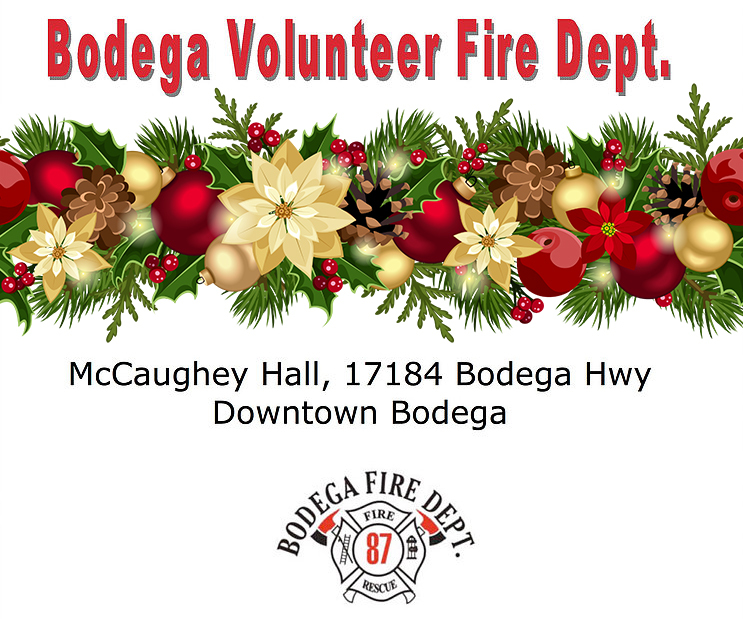 Our address is 17175 Bodega Hwy, Bodega, CA 94922. From Sebastopol go west on Bodega Hwy towards the Ocean. After passing the town of Freestone Bodega is the next town. From Petaluma you will take Highway 1 towards the coast. You will pass several small communities and go through Valley Ford. On Highway 1 North you will make a right hand turn onto Bodega Highway. 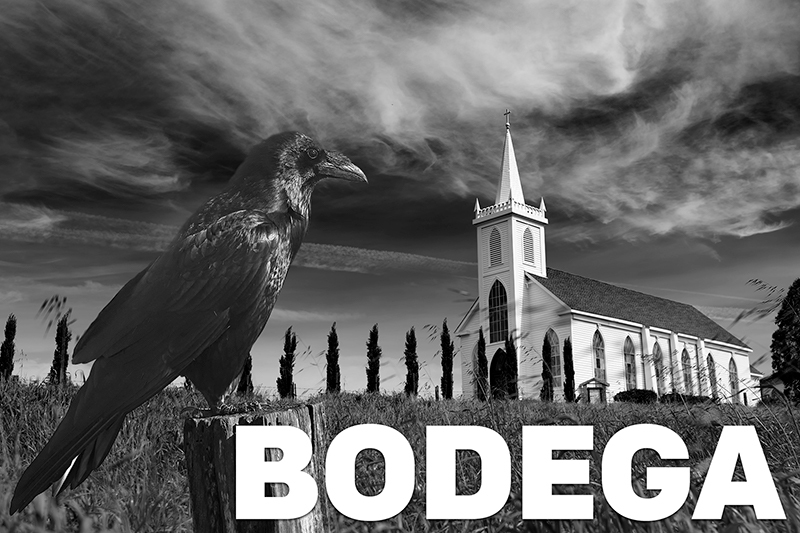 A short distance on Bodega Highway you will see the town of Bodega. Tickets go on sale December 1st. A the Artisans’ Co-op we have assembled work from over 50 local artisans. Each artisan is juried in to ensure a high level of quality and expertise in their particular craft. In our gallery you will find a variety of paintings types, photography, artful apparel, unique pottery, fused glass, special pieces of jewelry, colorful hand woven rugs, hand woven bags and journals, greeting cards from local artists and much more. Fireworks show produced by Pyro Spectaculars will start at dark (9:30PM) on Sunday, July 1. The display can be seen from all around Bodega Bay. Handicap parking at Westside Park. Demonstrations will include painting on Yupo paper, collage with stained rice paper, and painting with oils and acrylics. Meet our Painters at reception. Sponsored by the Bodega Bay Area Chamber of Commerce. 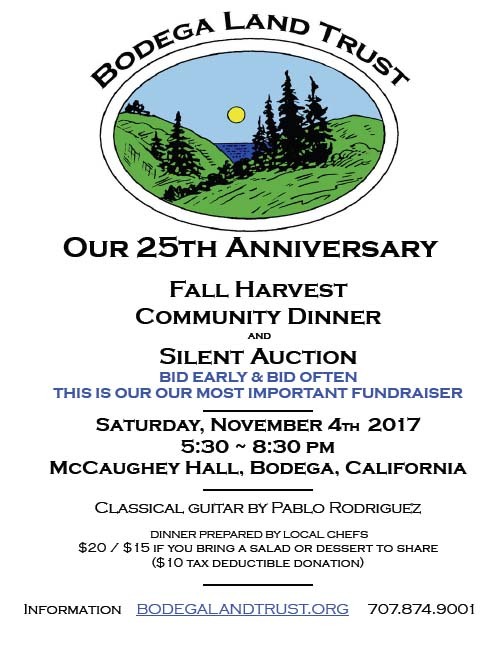 Proceeds benefit Bodega Bay Elementary and Tomales Elementary arts programs. Prices: $12 per film, $30 All Access Pass (3 Movies) & $6 kids 12 & under per film. Seating is Limited. 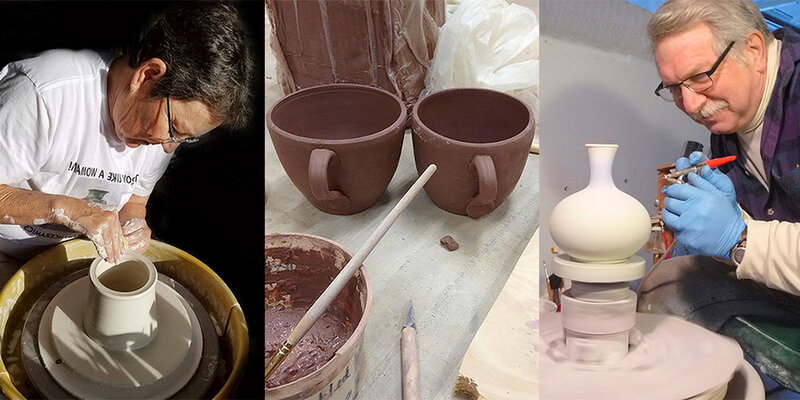 Ceramic artists, can utilizes different clay bodies, glaze applications, and firing techniques. Some of the pieces available are hand built, stamped, and molded. Ceramicists also work at the potter’s wheel, and throw bowls, vases, plates, mugs, and dishes. Demonstrations will include work on a potters wheel and molded techniques. A gallery sale will include pottery seconds. Meet our Potters at reception. Sale 11am to 6pm. Demonstrations 1pm to 3pm. Reception 3pm to 6pm. This is a Fundraiser for the various charities of Bodega Bay including the Fireworks show on Sunday, July 3rd at Westside Park in Bodega Bay. There will be 3 awards for best Chowder this year. People's Choice, Critic's Choice and Best Themed Tasting Venue. Winners will be posted on the Chamber website at www.visitbodegabayca.com on the Thursday following. This holiday purchase a gift made by a local Sonoma County artist. Every sale celebrates the arts and provides an income for our artists. Make a difference this year that benefits both the artist and the person receiving the gift. Our fiber artists creates on-of-a-kind scarves, hats, sweaters, vest, shoes and shawls. Hand weaved, knitted, felted and sewn. Something that could be passed on through the family. A gift of pottery for display or to use by our potters is better than a machine made vase, bowl or cup. Jewelry is a gift everyone loves. We have jewelry in a variety of styles, materials and prices. Have an event this holiday and need some bling? Come in a select that perfect earrings or necklace to go with your finest. Why buy mass market cards or pay high rates for custom made photo cards. We have a variety of cards that are hand-painted or with a beautiful photograph. High quality card stock to match the artist work. Bring art into a home and watch the space transform. Our photographers and painters have captured the coast, hillsides, vineyards, wildlife and world travels. "Eat Crab & Stay For The View"
That weekend we will be celebrating on Frdiay, Saturday and Sunday this tasty crustacean. Local Chef's will be cooking up some great Dungeness crab. Our fleet of charter boats are ready to take you out for a great time fishing. We have everything you need if you want to crab fish from our local shores. Stay for the weekend in one of our lovely Inns, Lodges, Rental Homes or bring your RV or tent and camp in one of our many RV & Campgrounds. Our gift shops will have items with crab designs to bring the coast to your home. Dungeness Crab season runs from November 2017 until about June 2018 off the Sonoma coast, and winter is always the time to go wild for these crustaceans. During this season you can come to the area to catch Dungeness crab and or eat Dungeness crab. It is all about the our favorite crab the Dungeness Crab. Please come and help us celebrate out 25th Anniversary! This year it will be on November 4, same time, same place as always, with food provided by local chefs. The Board and the volunteers have had such a good time over the last 25 years writing easements, organizing restorations, providing beautiful and informative public hikes, and doing all the other things we do to help preserve this wonderful landscape we all know and love. We really look forward to seeing you! There will be demonstrations on a variety of techniques in making beautiful jewelry with both modern and traditional techniques. A gallery wide sale, raffle and artist reception. Richard Sandoval, of Richard Sandoval Restaurants, will be at Timber Cove’s Coast Kitchen in Jenner to celebrate the fall season, highlighting a “Taste of Mexico” on the Sonoma Coast, with Pan-Latin dishes and cocktails inspired by Mexico. Join us for our 18th Annual Halleck Vineyard Harvest Party! Under any other circumstances, we would be celebrating an extraordinary year and cathartic relief as our babies are put to bed for another vintage. MUSIC AND SONG PROVIDED BY "FREE PEOPLES"!! Gualala Arts Center presents a new exhibit for October in the Dolphin Gallery. The exhibit runs Oct. 7 through Nov. 11. "Marine Transformations" features the works of Brandy Gale and Deborah Threlkel. Brandy Gale is a plein-air artist and photographer whose subject matter focuses on intertidal subjects around the Pacific Rim, she feels at home on the Mendonoma coast. Gale describes herself as a “color fanatic,” a natural extension of her full-spectrum synaesthesia, a crossed-senses experience where sunsets may smell like vanilla, colors have sounds or the letter “A” is always yellow. She expresses these personal synesthetic experiences through her paintings and will often carry a large number of paint tubes and handmade brushes so her palette and brushstrokes capture what she senses. Deborah Threlkel "The Abalone Queen"
Deborah Threlkel, known as “The Abalone Queen,” is this month’s three-dimensional artist. Threlkel actually works with a much wider variety of materials than just abalone to create her original pieces, all of which share one common trait — they are produced from materials she finds. An inveterate collector, Threlkel is constantly discovering materials on her hikes and explorations. Her conceptualization with these treasures is what distinguishes her from other artists. Fireworks show produced by Pyro Spectaculars will start at dark (9:30PM) on Sunday, July 2. The display can be seen from all around Bodega Bay. Handicap parking at Westside Park. If you can see the protected waters of the Bodega Bay harbor, you should be able to see the show. It's viewable from Westside Road, the north side of Doran Beach Road, Bay Flat Road, Smith Brothers Road and Highway 1 between Smith Brothers Road and Taylor Street. Please be careful where you park. AND PLEASE TAKE OUT WHATEVER YOU BRING IN! OUR VOLUNTEERS NEED YOUR HELP TO KEEP BODEGA BAY BEAUTIFUL!! THANK YOU!! Our artisans take pride in traditional handcraft methods and materials. Every two months we will showcase a group for you to meet and see their work. Upcoming showcase will be Photography on Saturday July 1st. Francesca Scalpi specializes in wildlife portraits, black & white, landscapes, and local farm life. He work has been on displayed in the Sebastopol and Petaluma Centers for the Arts. She has exhibited in galleries in Sacramento, Graton, Guerneville and Gualala. 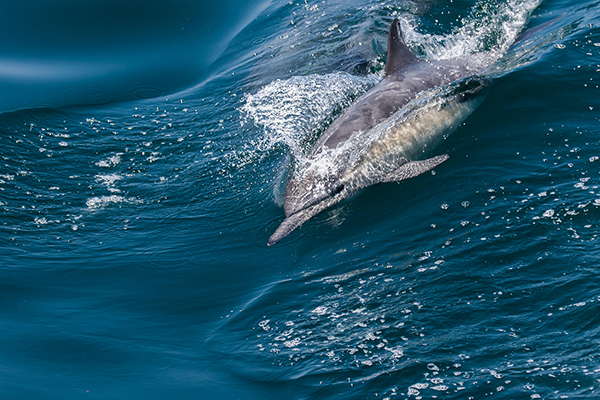 Benedicta Jacobs captures our local wildlife and landscapes with her camera. Sandra Reinhold captures local coastal scenes and has boxed card sets as well as single photo cards. Bo Svensson specializes in landscape and travel photography. He capture some of the world's most beautiful images, at the most perfect moment. These images reflect his great love and respect for nature and man's proper place in it - that of observer, partner and preserver.